▼ PEI Real Estate Explained! Prince Edward Island is a small island located 13 km off the east coast of Canada. It is connected to the mainland by the Confederation Bridge as well as ferry and air. While Prince Edward Island is the smallest province in Canada it isn't small on scenery or lifestyle, and the Prince Edward Island waterfront real estate market is strong. Prince Edward Island, the Emerald Isle, is a great place to retire, holiday, or even use as a summer retreat from the hustle and bustle of big city life. Prince Edward Island waterfront real estate is plentiful due to the long jagged coastline and bays and inlets of the island. There is always something new just around the corner and PEI properties and PEI homes are readily available, always beautiful and well-kept, as well as being very affordable. Many visitors to Prince Edward Island, and there are upwards of a million in the summer, choose to enter the Prince Edward Island real estate market and buy a PEI property or PEI home of their own using it for their own vacation as well as netting a return on investment by renting it to other vacationers when not using it themselves. Many PEI realtors and Prince Edward Island real estate agents will manage your PEI property when you are away. Prince Edward Island real estate affords anyone interested in becoming a Prince Edward Island real estate investor a secure financial instrument upon which to base a wealth-building plan. Prince Edward Island real estate, while perhaps not providing the potential for the large returns to be had in some urban areas, such as the recent "crazy" upturns in portions of the Toronto market, is much easier to break into with much lower cash requirements as well as not being subject to the potential risk and downside of a real estate market that over inflates and then falls. The Prince Edward Island real estate market at present still has many great deals on offer that will allow everyone from the family seeking their first PEI home to the savvy real estate investor looking for a Prince Edward Island commercial or multi-family rental investment. Wally Ross and the Century21 Northumberland Realty team are your first choice when looking for a PEI realtor who can help you enter the Prince Edward Island real estate market. There are some restrictions on out of province ownership of Prince Edward Island waterfront real estate but these are not difficult to comply with and still allow for a considerable purchase of PEI property or the purchase of a PEI home. The Prince Edward Island real estate market is generally though to divide into two distinct categories. There is the local market which includes PEI home owners, islanders generally who live and work here with their families year-round, buying a PEI home or other PEI property for their own use. Then there is a very strong summer Prince Edward Island real estate market which is made up of visitors and summer residents who come to PEI and buy PEI property looking to have a base for a different kind of lifestyle than that found in the bigger Canadian cities. More and more those wishing to be summer residents of Prince Edward Island buy into some of the excellent Prince Edward Island real estate developments such as Sunset Dunes, Granville on the Water and Sunbury Cove. These Prince Edward Island real estate developments offer serviced lots as well as turnkey PEI homes built to specification. There is actually a third type of market which skews between these two. This is the retiree market. People from other parts of Canada are coming to Prince Edward Island and buying into the Prince Edward Island real estate market, often purchasing in the towns and cities especially buying into Summerside real estate. These people find that they can purchase a PEI home for a fraction of the price they sell their home in other parts of the country and use the released equity to finance part of their retirement. ▼ RETIREMENT TO PEI & housing prices. If you are reaching the age when you are thinking about retiring, you will be planning budgets based on a reduced income and probably wondering how to get by on reduced circumstances. More and more people are beginning to see PEI as an answer to their retirement issues. PEI is a small island province off the east coast of Canada with a population of 140,000. The island population grows in the summertime to over a million as many summer residents come in to swell the population. However despite average Canadian winters and thanks in large part to the PEI real estate market which is considerably easier to jump into with lower PEI home values than home prices you would find in Toronto, many are seeing Prince Edward Island as their new home year round when entering their retirement. As the island grows, so modern amenities are taking root. In the Summerside area their is a modern hospital, a sports complex with competition style pool and 2 hockey rinks, lots of restaurants, theatres, a boardwalk and a strong senior's community. You can buy a PEI home and enter the Prince Edward Island real estate market with home prices starting in the range of $50,000 for a fixer-upper up to $300,000 for a very large, heritage house that could be used as a B&B to create an income for those who do not want to entirely stop working, but are willing to put in summers working a business, or could be renovated into apartments. There are some homes that have already been renovated into up to 6 apartments that bring in a good income. Live in one - rent the rest! With PEI real estate prices at 41% of the national average that means the average homeowner could access just over $200,000 to place into another investment to help with retirement income. The table (above right) allows us to see province by province what the return would mean on a monthly basis if you sold your home elsewhere in Canada and leveraged that freed equity by purchasing in the Prince Edward Island real estate market. Alternatively, you can use the value of PEI real estate further to your advantage and instead of investing your freed equity in financial instruments such as Mutual Funds, you could purchase a multi-residential property or several smaller, starter homes to use as rentals. You can roughly generate $400-500 of rental income from a home costing $50K to $70K. Homes of this type are readily available to the PEI real estate purchaser. As you can see there are a number of scenarios involving a PEI real estate investment that would result in an easier lifestyle during your retirement. Check with Wally Ross, your PEI realtor and member of the Century21 PEI real estate team to discuss how this would work for you. PEI real estate prices are amongst the lowest in the country, we have reasonable climate and a friendly and relaxed lifestyle here on PEI with access to all modern amenities. ▼ Mortgage Financing on PEI. If you are looking into buying a PEI home and if you are looking at a site such as this that is devoted to helping people buy PEI real estate you probably will, unless you have some $100K in cash, have to qualify for a mortgage. Getting a mortgage to invest in PEI real estate depends mainly on 2 factors, your credit score (a number between 300 and 900) that shows lenders your creditworthiness and your income which shows lendors how much you would be able to pay. In order to be an informed consumer you must first know your credit score. You can obtain a free copy of your credit report from Transunion or Equifax but the free version will not supply your credit score. For that information you must pay. Typically this costs just over $20 and you can get the results on the internet at either credit agencies' website. If your credit score is low you will have a much harder time financing your PEI real estate purchase. You ideally want a credit score of 700 or better although some lenders will finance your PEI home purchase at credit scores over 600. In this case usually the interest rate on your PEI real estate will be higher. In either case potential PEI real estate lenders will look very closely at your credit worthiness as expressed in your credit score and at your income to see what amount of debt you could easily service as well as other factors such as length of employment, other debt etc. Steps to building your Credit Score & your chance of a PEI real estate purchase! 1. Pay bills ontime - use online payment systems or setup automatic payments if necessary. Failure to pay bills on time will result in a reduced credit score and problems with financing a PEI real estate purchase. 2. Ensure that you have money onhand ie savings. Start a savings program to automatically save a certain amount from your paycheque. Having savings shows lenders a certain fiscal responsibility and will increse the likelihood of earlier PEI home ownership. 3. Make sure that rent is paid on time and that lease obligations are met. This shows that you are "of your word" and will honour contractual agreements that you have made. Failure to do so can result in a negative credit report and delay PEI home ownership. 4. Reduce your debt, especially credit cards. Credit cards at best reduce the amount of money you will have to spend on your PEI real estate purchase or it could outright delay it until paid down. Debt service for credit card debt is taken off the amount you qualify for based on income and therefore negatively effect your ability to become PEI home owners. Credit Score holding back PEI home ownership? If either you do not have enough money as a downpayment or you are considered a less than stellar risk for PEI real estate mortgage you may have to opt for an insured loan or a "bad credit" mortgage. In either case this means that as the risk is higher you will pay more interest to borrow to buy that PEI home. So you may have to work at repairing your credit or save some more for a downpayment or wait until you have worked at your present employment longer if you want to avoid paying a penalty in interest rate for your past life choices or circumstances. You should in any case see a number of banks and discuss your situation as well as mortgage brokers. Sometimes a mortgage broker can get you PEI home financing when a bank can not. Mortgage brokers shop around a number of lenders on your behalf including banks, finance companies and even sometimes private mortgage lenders. There are sometimes up front fees for mortgages arranged by mortgage brokers. You should make sure you know what fees, if any, are being charged on the front-end of your PEI real estate purchase. Another point to remember when shopping for your PEI real estate mortgage includes not making other large purchases before seeking a mortgage. Wait until after to apply for a new car loan or indeed any loan. You want to be as debt free as possible going in. 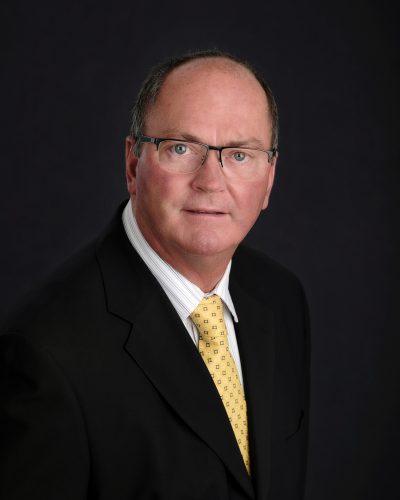 If you are planning a PEI real estate purchase in the near future and you have a checkered credit history or perhaps a lack of credit history, drop by and talk to Wally Ross, your PEI realtor and part of the Century21 PEI real estate team. He can help you set a path to PEI home ownership.